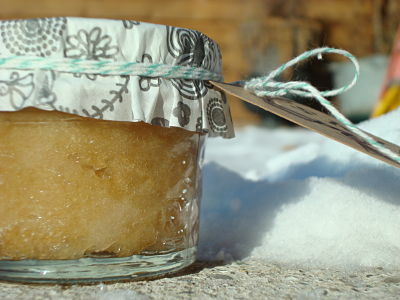 Northern Cottage: GARDENER’S HAND SCRUB! I kept it simple with just some twine and a little handmade tag. These are perfect gifts for gardening moms, sisters, teachers, friends, neighbors, etc. Enjoy!!! Now that is a clever gift idea!!! Thanks for sharing! And I love your simple yet pretty packaging of it! What a great idea and a sweet gift for any gardener. I bet the sugar scrub leaves your hands really soft. Thank you for sharing this at my party. Great idea! I will definitely make some! I'm visiting from No Minimalist Here's party and am looking forward to following your blog. OMG...where had this blog been all my lil' dirty handed gardener life! Not sue how I found you...but I love it! Going to peek around at your bloghome! Love it! Thanks for the Recipe! I love it! I can't wait to whip some up! I just started to follow your blog...it's great! You are featured at Cozy Little House! I bet this smells yummy! Great idea.....new follower..found you through Tip Junkie! I love this! I can't wait to see what else you have. What a fantastic gift for teachers (or anybody for that matter!) The Pretty Packages Party is going on now. I'd love for you to stop by and share your beautiful gift idea. this is great idea, thanks for sharing! Love this idea! Thanks for sharing your "recipe" :) I will have to try this out! I'll have to try this for my mom! Now, tell me, does the sugar dissolve or does it stay granular in there? Oh, I just LOVE this idea! Thanks so much for sharing. OH! I have to go to a Bunco night and the gift theme is "garden"! I'm thinking how cute this would be to add to a basket of gardening 'stuff'! Thanks very much!! I am going to mix this up today! I am going to give little jars of it to all my neighbors as "just because" gifts. Thank you for sharing! Thanks for sharing. Both of my MIL's would love this as a gift and it almost sounds too easy to be true! Great Idea. This is better and easier than the recipe I once made. Cute little jars. I am a new follower....found you on No Minimalist Here. I love this idea and the packaging is great. My dad is a garner and I thing I can make this with other scents to be appealing for everyone. Thanks so much for the idea! This will be perfect for Moms day! Thanks so much for sharing the recipe for this wonderful scrub. The packaging is sweet as well! I featured your scrub on my blog today! Come grab an "I'm featured" button! I made some of this and gave to my in-laws for mother's day!! It turned out so well. I had to keep a jar of it for my self. I did mix it up a bit and added grapefruit instead of mint for one and it was wonderful. Thanks for the wonderful idea and tutorial! That is fantastic! I am bookmarking this and doing it! I made this for Mother's Day this past weekend, and so far every one loves it! Great Recipe! Thanks for this recipe. I've been wanting to try some of this out! Great recipe - thanks so much for sharing this one and the original recipe. Oh I'm definitely making some of this! What a great idea, especially for gifts. Visiting from the Creative Collage link party and wanted to invite you and your friends to join us over at my Garden Party blog hop today. For every gardening related link to the party I am donating $1.00 to help aid Alabama tornado victims! Would love to see this post in the links! I just love your adorable little jars! I can't wait to try this. Even wearing gloves in the garden, my fingernails are always a mess! Great home goods ideas! I have been blogging my home design projects on http://sabineshome.com What do you suggest using for home decor? Oh I also put you on my Pinterest Board.